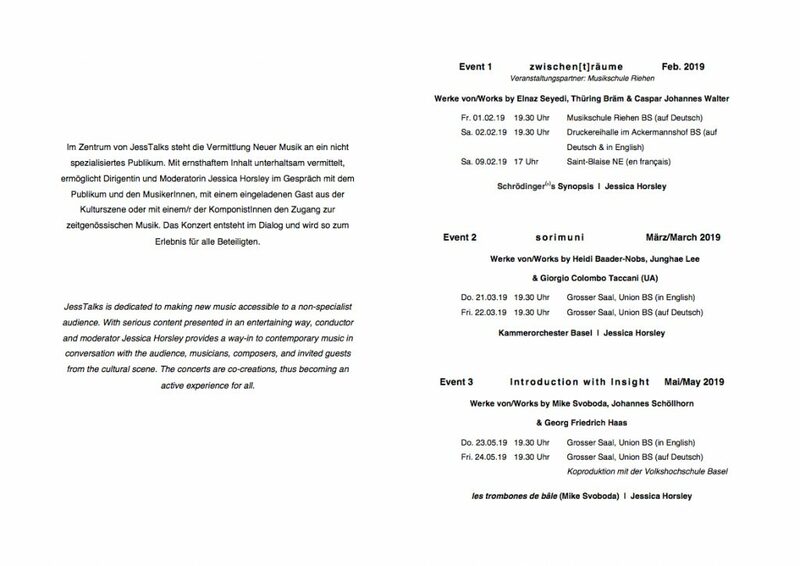 On Friday 1st February in the Musikschule Riehen (in German) and on Saturday 2nd February in the Druckereihalle im Ackermannshof, Basel (in English and German) JessTalks will be taking a fresh look at new music. Using a talk-show format and with invited guests, the events will be co-created in dialogue with all present. 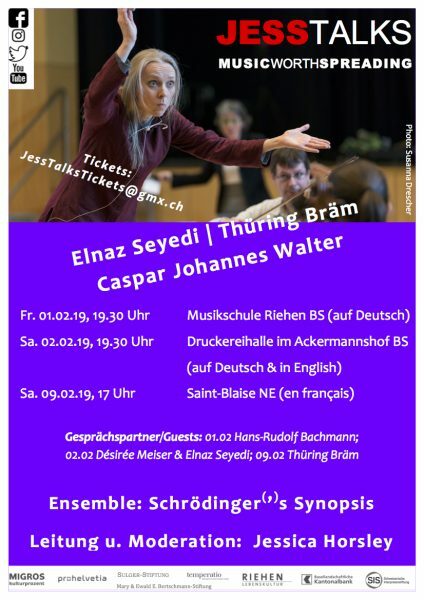 JessTalks is the first major concert organiser in Basel to offer events in English and German.